It's time to take the Buffalo by the horns and corral big winnings in the 5-reel slot game Double Buffalo Spirit, featuring 1024 Pay Ways! 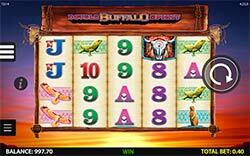 It’s time to take the Buffalo by the horns and corral big winnings in the 5-reel slot game Double Buffalo Spirit! 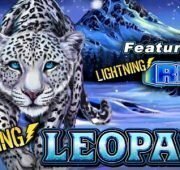 This 1024 Ways to Win slot comes to you from WMS and comes with some really fantastic features and prizes. 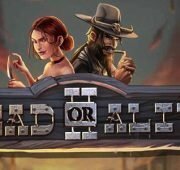 As you’ve probably guessed by the name, the game has a western theme centered around the great and spirited Buffalo. 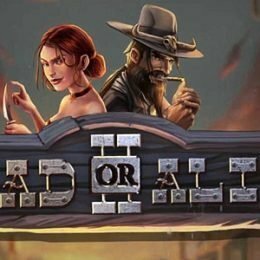 The game is set in the fiery sunset of the midwest and on the reels you’ll see prairie animals like little lizards, hawks, two different Buffalo, a beaver and traditional letter symbols 8 through Ace. Buffalo Wilds – The Golden Buffalo symbol is the wild and will substitute for all other symbols except the “Bonus” symbol to complete winning combinations. It’s important to note that the Wild will appear on reels 2, 3 and 4 only. 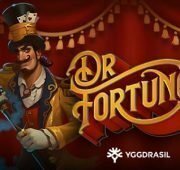 Free Spin Bonus – 3, 4 or 5 scattered Bonus symbols will award 8, 15 or 20 free spins respectively. 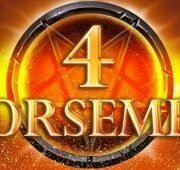 During the Free Spin Bonus, 2, 3, 4 or 5 Scattered Bonus will award an additional 5, 8, 15 or 20 Free Spins! 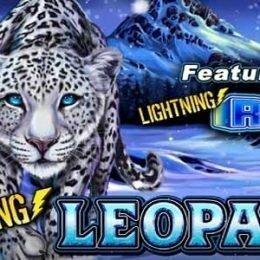 During the Free Spins Bonus, each Wild that appears in a winning combination on reels 2, 3 and/or 4 will transform into Wild 2x or Wild 3x. Bonus Guarantee – The Free Spin Bonus is guaranteed to award a minimum of 10x the total bet. 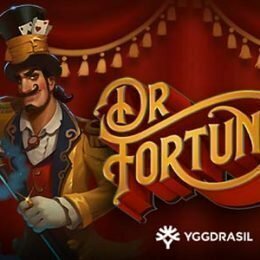 Any bonus ending with less than 10x total bet is automatically increased to 10x total bet at the end of the Bonus. The Bonus Guarantee value includes the initiating scatter pay.